Yamazaki distillery is located in Shimamoto, Osaka Prefecture in Japan. The distillery was opened in 1923, and it is owned by Suntory, being Japan’s first commercial whisky distillery. Yamazaki 18 year old was the first ever Japanese whisky for me. What a way to start! After this dram, I was yearning for more. 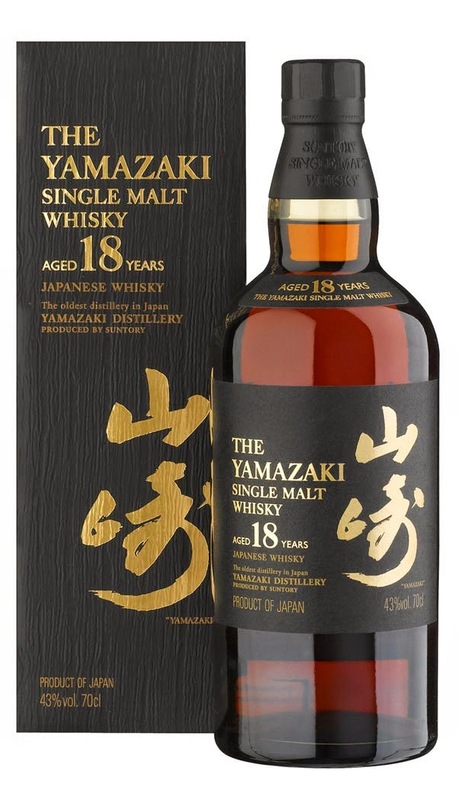 Yamazaki 18YO felt like a great combo of Japanese and Scottish whisky know-how. This single malt whisky has been matured mainly in sherry casks, some bourbon and wee bit in Mizunara oak casks. Rich with sweet spots, deep smoke and dark textures buried in the palate. Like Western and Eastern craftsmanship clashing together in a good way. Eastern version of Lagavulin or BenRiach, perhaps? Definitely like Kill Bill Vol. 1 – another great mix of two different crafts and cultures. Nose: Sophisticated sherry with notes of smoke and a good mix of dates, anise and mint. Taste: Honey and malt in a sweet way, with oak in the back. Full and layered body of raisins, oranges and delicate sherry. Finish: Textures of very dark flavors. Dried fruits with dark chocolate, espresso and a little bit of smoke. Balance: Rich and sophisticated whisky. Darkness and sweet spots combined together very well. Had this way back in our local whisky tasting, so it would be great to taste it again. Score would probably get higher. Like almost always, Japanese have a way of making beautiful whisky bottles and packages.